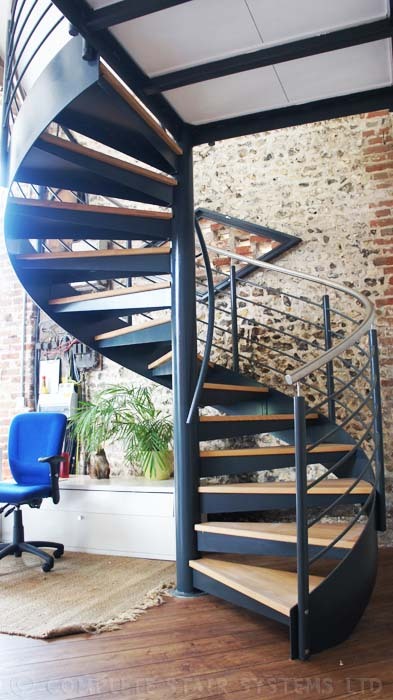 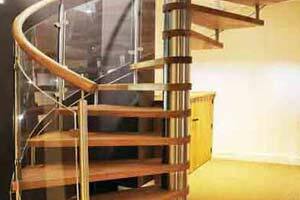 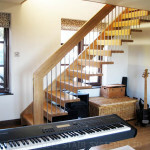 Commercial Spiral Staircase – Wickham, Hampshire. 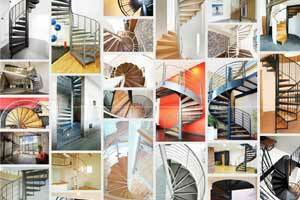 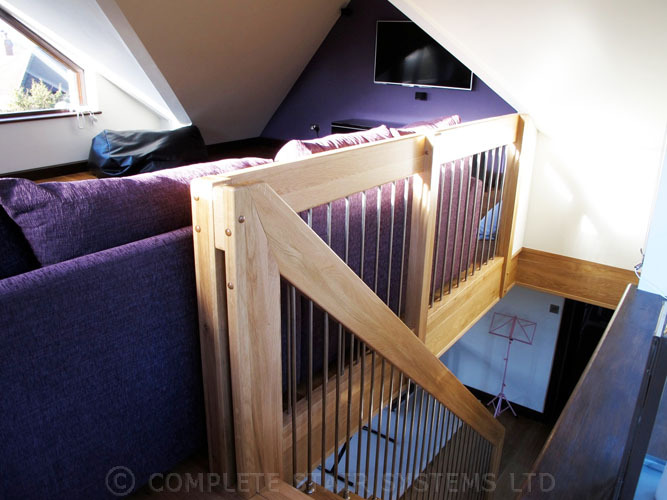 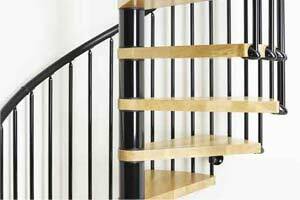 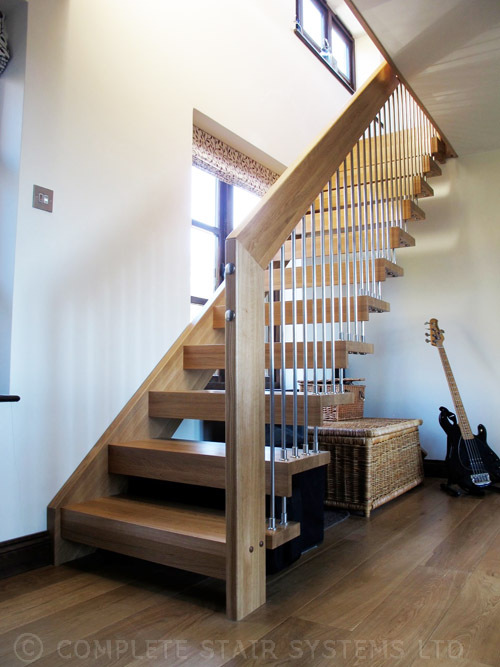 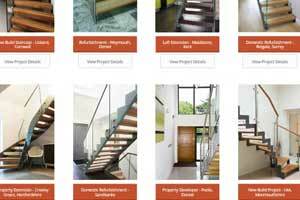 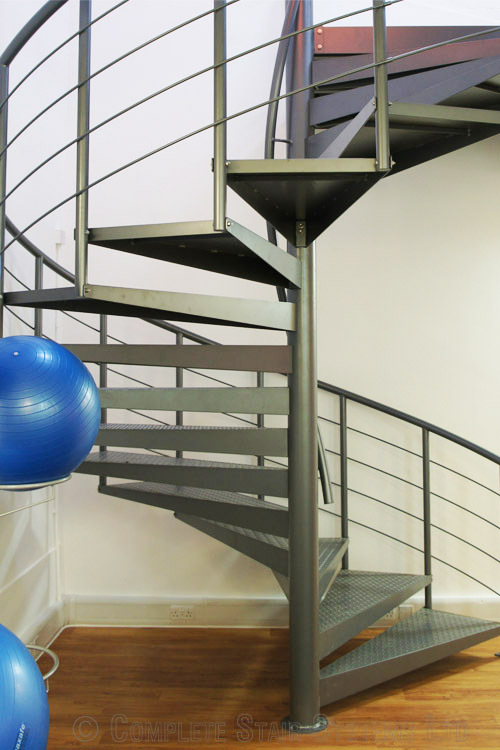 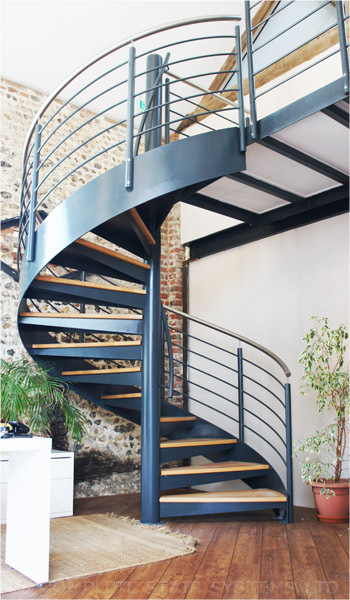 The majority of our customers are ‘end-user’ domestic clients involved with self builds or refurbishments, but we do supply a number of larger spiral staircases suitable for commercial use. 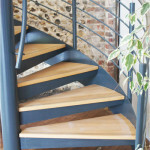 These are often for schools, shops, offices and restaurants. 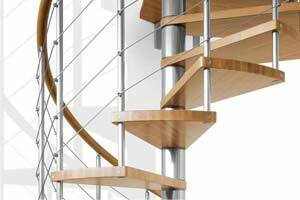 Like most fixtures within a commercial setting there are some stringent regulations to adhere with and spirals are no different. 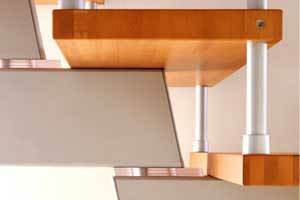 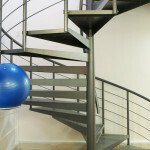 These rules relate to the clear tread width, inner – centre and outer going measurement, riser height, and the location and thickness of the handrail. 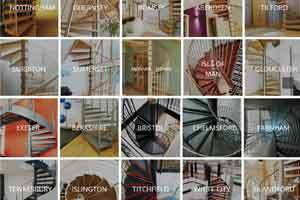 They can get fairly complex so give us a call on 01794 522444 or email . 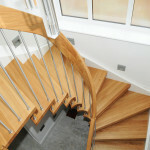 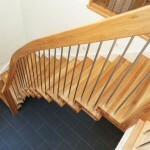 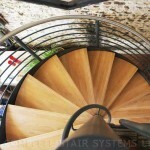 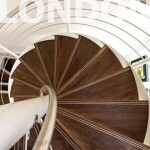 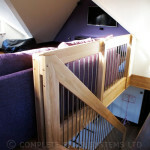 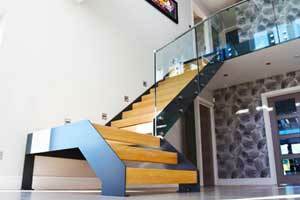 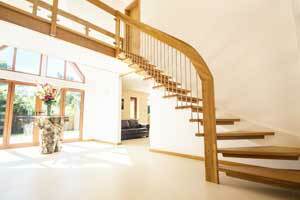 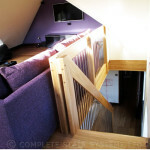 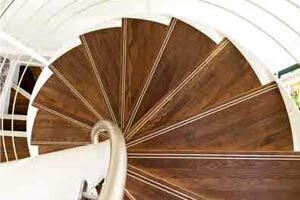 This particular flight was supplied as a semi commercial spiral staircase with a 800mm clear tread width. 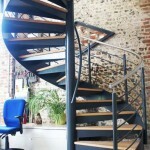 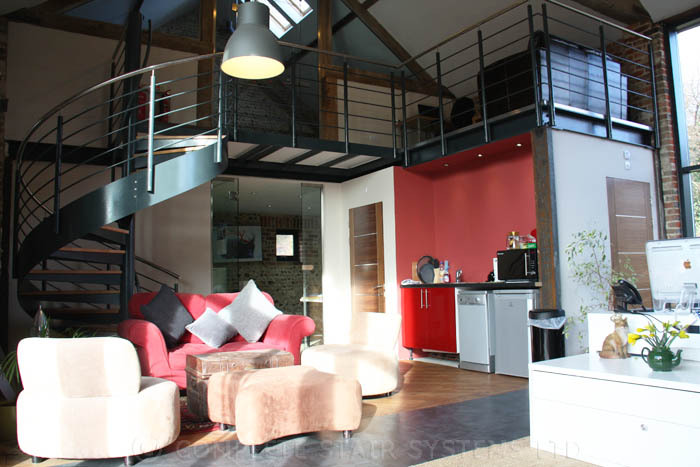 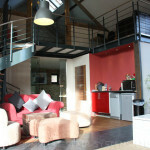 It was supplied as part of a stunning fitout of an old barn into a number of self contained office units. 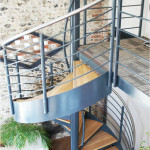 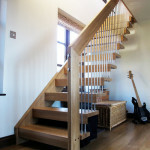 The spiral staircase was constructed with solid oak treads on a steel tray, an external steel stringer and horizontal steel bars forming the balustrade. 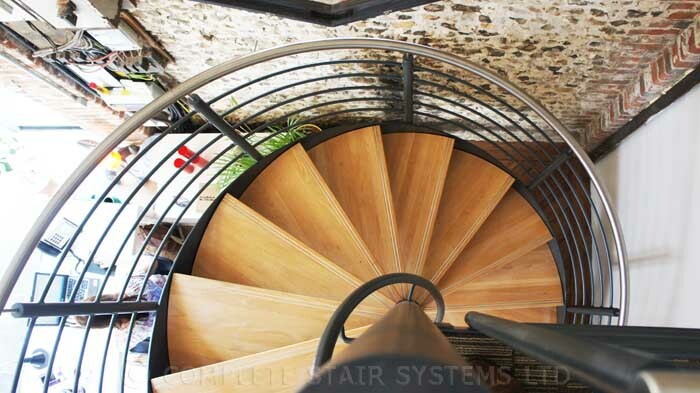 We supplied a large platform at the top of the spiral which tied into the steel beams and it was topped with the same flooring material as the upper floor. 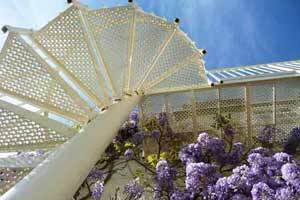 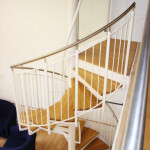 As with all commercial spiral staircases a centre column handrail was included, snaking around the centre column. 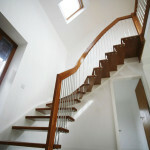 This commercial spiral staircase was supplied in a primed finish, ready for on site painting. 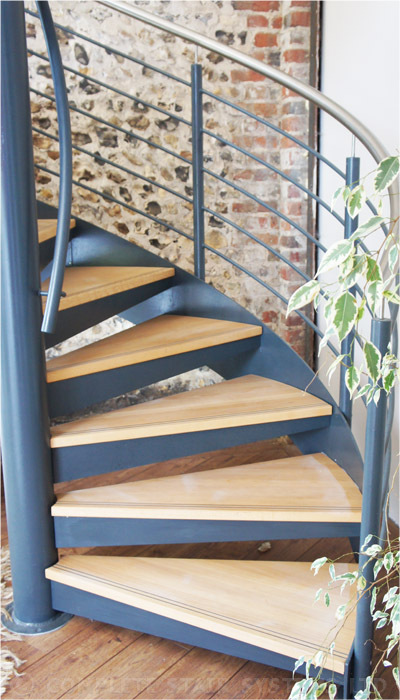 Whilst we often powder-coat the product, a primed structure is popular as it removes the significance of damage to the paintwork during fitting. 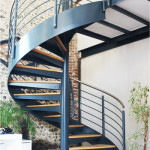 Our client was extremely happy with the end result and this commercial spiral staircase can be viewed by appointment. 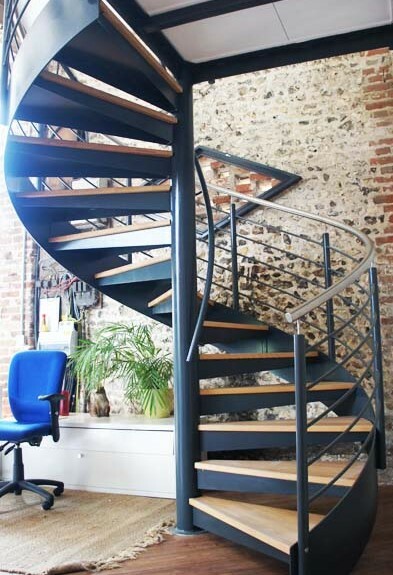 For prices and a further information about this type of commercial spiral staircase, please contact us on 01794 522444 or info@completestairsystems.co.uk . 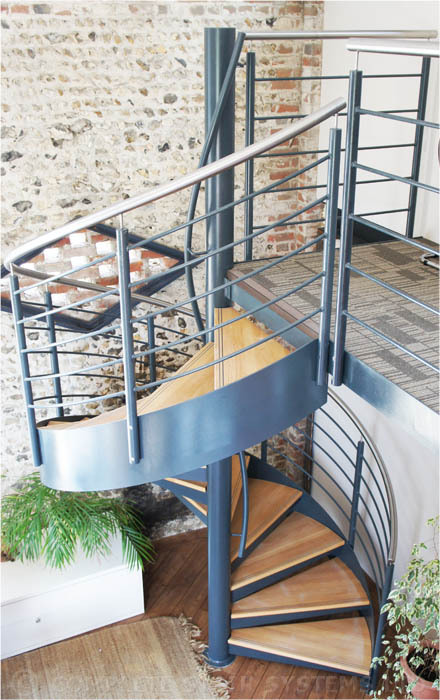 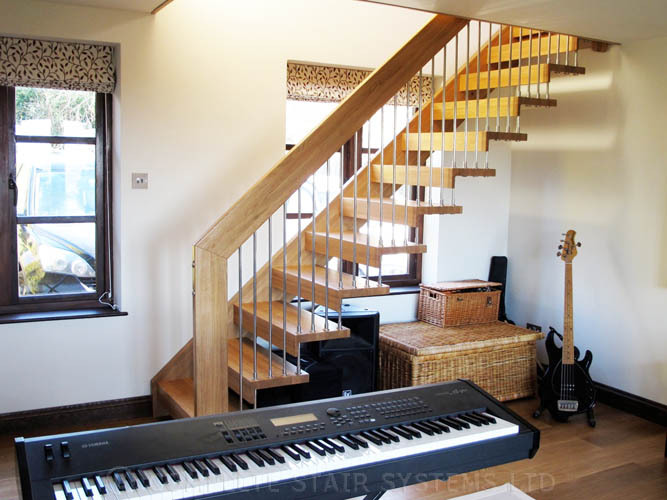 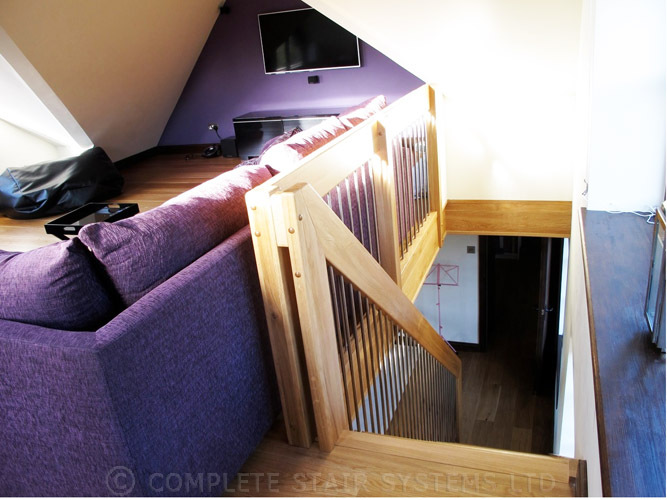 https://www.completestairsystems.co.uk/wp-content/uploads/2014/08/Commercial-Spiral-Staircase-Wickham-Hampshire-4.jpg 700 400 admin https://www.completestairsystems.co.uk/wp-content/uploads/2018/04/Header-Logo-116x116-1.png admin2014-08-30 21:47:532014-08-30 22:12:19Commercial Spiral Staircase - Wickham, Hampshire.